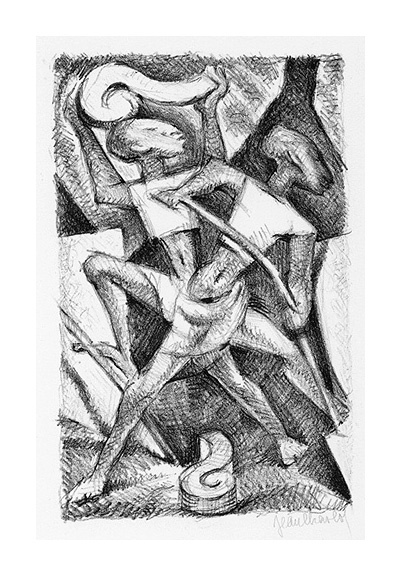 Maya Workers, Two Builders --1929, Lithograph on zinc. Morse 90. Edition 11, 2nd state. Signed in pencil. Image size 7 1/4 x 4 1/2 inches (185 x 116 mm); sheet size 11 3/4 x 7 3/4 inches (298 x 198 mm). A fine impression, with full margins (1 1/4 to 2 3/8 inches) on cream wove paper, in excellent condition. Printed by George C. Miller. Morse 458. 5 proofs only. Signed in pencil. Initialed and dated in the stone, lower right. Inscribed For Sid. lower left and J C - 252 in the lower left sheet corner. Image size 9 x 7 inches (229 x 178 mm); sheet size 14 x 10 1/8 inches (356 x 257 mm). A fine impression, with full margins (1 1/4 to 2 1/2 inches), on cream wove paper, in excellent condition. 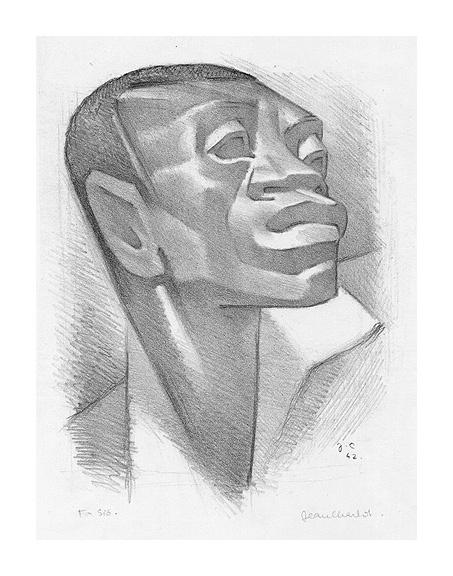 This portrait derives from a figure in the mural done for the McDonough, Georgia, Post Office in January-February 1942, first painted November 1941 (JC diary).